In most Chapter 11 cases, the idea is to reorganize the affairs of the debtor, and continue the ongoing business operations with a readjusted balance sheet as a reorganized debtor. In some cases, it becomes apparent that it is better to liquidate the business or other assets, and wind down the operations under current management. It often can take many months or even a year or two to determine which course is in the best interests of creditors and the estate. During this time, while the business is being operated, the question often arises as to whether the DIP can take certain actions, or whether they require court approval. There is no clear definition in the Bankruptcy Code or Rules of the term "ordinary course of business" which is found in Bankruptcy Code Section 363(c)(1). Accordingly, it has been left to the bankruptcy courts to give meaning to the term. The courts have come up with essentially a two-prong analysis: (a) the "horizontal dimension test"; and (b) the "vertical dimension" or "creditor expectation test". In the first test, the courts look to see what actions are ordinarily engaged in by other businesses similar to that of the debtor. For instance, a company operating a shoe store can be expected to sell shoes to retail customers. It probably is not "ordinary" for it to buy or sell condos in Manhattan, or invest in limited partnerships offering fly-fishing trips to Patagonia. This test is focused on looking to see if there is anything unusual being done by either the debtor or the creditor that would jeopardize the interests of the general, pre-bankruptcy, creditors. In the second "test", the emphasis is on looking at the transaction from the eyes of the creditor extending the post-bankruptcy credit. If it involves the normal type of risk inherent in all business transactions, then it is likely "ordinary". If it involves a risk of greater magnitude or nature than the parties reasonably expected, then it is likely not ordinary. In close cases, it is probably best for a DIP to seek a court order. Under Section 363(b) of the Bankruptcy Code, the Court can approve a transaction outside of the ordinary course of business, after notice and a hearing. The court will generally defer to the business judgment of the debtor. In our fly-fishing example, the court could approve of such an investment if it was firmly convinced that there was a good business reason fob the transaction, that it was bona fide, fair and equitable, in good faith and arms-length, and in the best interests of creditors and the estate. 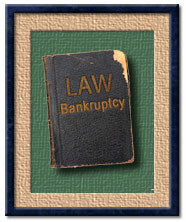 The court will generally not substitute its own judgment for the business judgment of the debtor. Also, creditors of the estate are entitled to notice and an opportunity to be heard on such matters. If a DIP fails to obtain a court order, and the transaction is found to fall outside of the ordinary course of business, it can have adverse effects. First of all, it could constitute grounds for the appointment of a Chapter 11 trustee under Bankruptcy Code Section 1104(a). Once a trustee is appointed, he could seek to set aside the transaction as an unauthorized post-petition transfer under the provisions of Section 549 of the Bankruptcy Code. The better course, then, is to seek a court order where the transaction in question falls within the gray area. The whole idea of the Chapter 11 is to allow a debtor to successfully reorganize its business affairs. Much of the prior stigma has been removed. 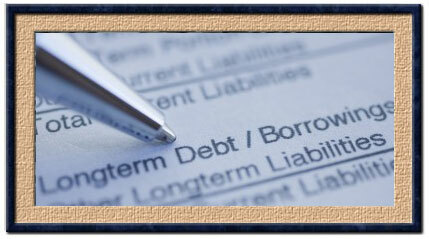 For instance, there is no requirement that the DIP's checks be imprinted with the notation: "Debtor in Possession". The courts realize that overzealous oversight of the DIP can serve to put a straitjacket on the DIP and paralyze business operations. In our shoe-store example, you don't need a court order to sell a pair of Hush Puppies.